Denver is pioneering the Cannabis industry in ways to lessen the environmental impact of cultivating and selling Cannabis. 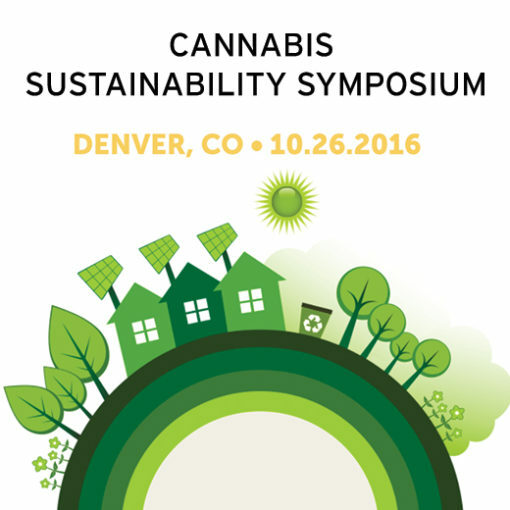 The initiatives initiated by responsible Cannabis businesses working to decrease their footprint have trickled out through various news stories, but The Cannabis Sustainability Symposium, hosted by the Organic Cannabis Association, held on October 26th, 2016 at the Colorado Convention Center, will ignite the conversation.This one day event will educate attendees on the latest tools, techniques and technologies for efficient and safe Cannabis production. Covering water & wastewater, solid waste, integrated pest management, community engagement, energy efficiency, cultivation practices and sustainable design, the symposium will bring together leaders from all over the industry to present on the industry’s key environmental challenges. Our very own Meg Collins, Vice President of Public Affairs will moderate the panel on energy, and Good Chemistry Nurseries will have a booth on site to provide attendees with more information. Good Chemistry Nurseries understands the environmental impact of indoor Cannabis cultivation. We look forward to learning from experts in this very field as well as educating other members of the industry on the lengths we go to in an effort to minimize our own environmental footprint. For more information or to purchase a ticket, visit http://www.cannabissustainability.org/.